Preconception–An opinion or conception formed in advance of adequate knowledge or experience, especially a prejudice or bias. Photo assignment #2: What subject matter(s) do you usually shoot? 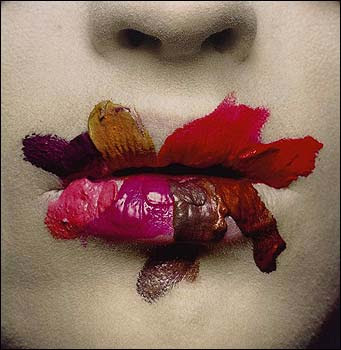 Now consider how to challenge the subject matter or how you would usually shoot the subject. OR, list then challenge some of the normal technical or visual technics to how you shoot? If you usually shoot to freeze movment, then try to show movement. If you always apply the rule of thirds to your compositions, then shoot subjects centered… etc. etc. 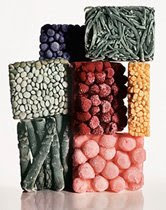 Photo assignment #2 example: Irving Penn shot this image of frozen fruit..
Is this typically how you would imagine what a photograph of frozen fruit would look like? 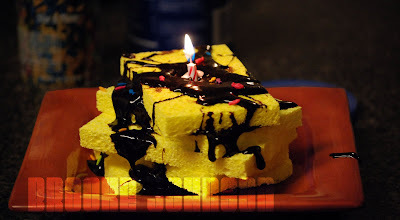 How about this picture of a women with lipstick on..
Now…what image comes to mind when someone asks you to imagine a photo of sponge cake?